The recently released Kenya certificate of secondary education exam results have got Kenyans excited over the speed and level of transparency that the ministry has undertaken in the entire process. 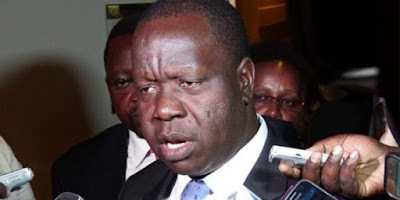 Since the exam council is also headed by the new minister CS Fred Matiangi, all the praises have been directed to him for the reforms he has brought in the ministry. Apart from CS Matiangi, there are other key personell in the ministry who ensured that the results were delivered smoothly. According to reports, the Kenya National Examinations Council (KNEC) Chairman Prof. George Magoha also played a big role in making sure everything ran smoothly and tht the examination cartels did not interfere in the process. The former University of Nairobi Vice Chancellor said that when he was appointed to head the KNEC board earlier in the year, he was shocked just how corrupt the system was and vowed to bring sanity in the council. He said that the examinations council had no control systems with most of the staff having access to national exams, months before they were sent out to the candidates thereby having a lot of looplholes for the cartels to get access to the papers. At the time, KNEC would set the exams years in advance and have them stored in a databank that was accessible to a large number of people. When cartels were able to access exams through corrupt staff, they would then sell them to a network which involved parents, teachers, students spread across the school, county, and even at the national levels. After the leak, the teachers would then stop teaching and would instead coach students to answer the leaked questions. “I went through many scripts randomly and was shocked that many candidates could not answer even common knowledge questions, hence only managed to score four or six per cent. It is not that they are weak, but they had not been taught,” the no-nonsense administrator told. During the short time he has been in office, Magoha had introduced a number of reforms that included setting of new papers by a team of newly-vetted examiners. All the staff at KNEC were also forced to undergo a vetting process with some of them having to be laid off after they were found to have been compromised.